From a horse-drawn or motorcycle hearse to the specific memorial that you choose to honor your loved one, Specialty services are one way that families can choose to personalize a memorial service. Below are a few specialty services that provide that for you and your loved ones. 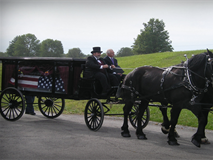 Choosing a horse-drawn hearse for your loved one's casket transport provides a truly timeless counterpoint to their passing that emphasizes that they will always be remembered. 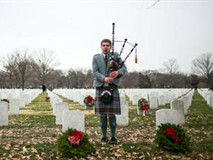 For more information on services visit ﻿www.duncancarriages.com﻿. 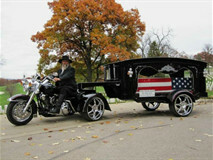 Clear Creek Coach provides a distinctive motorcycle hearse service, established in 2008 by Don Guffey of Schell City, Missouri: owner and operator. For more information on services visit ﻿www.clearcreekcoach.com﻿.